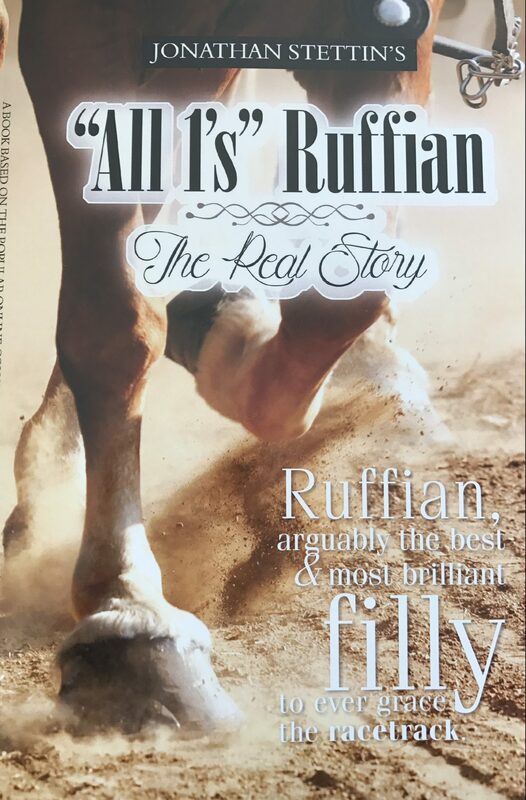 Ruffian, the real story. A true and accurate accounting of what transpired that fateful day. The real story of Ruffian and what transpired during and after the Match Race with Foolish Pleasure. Includes discussions with Jockey Jacinto Vasquez, Raymond DeStefano, Dr. James Prendergast, Frank Cavalese and Mike Bell. This is the real story as told by those who were present and involved in what occurred. This is the printed copy, signed by Jonathan Stettin, of the story that first appeared on our website. Price includes signed copy and shipping via USPS.